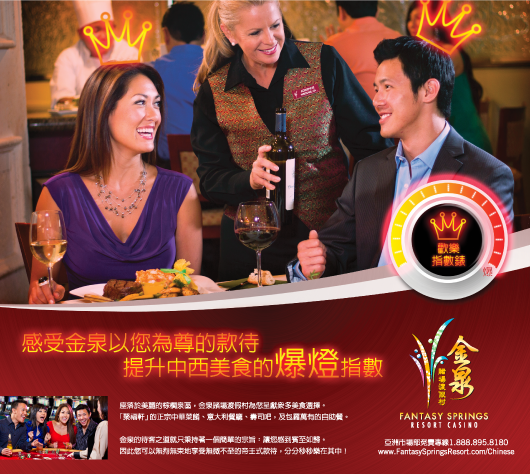 Come experience the superior hospitality that treats you like royalty at Fantasy Springs Resort Casino and enjoy the off-the-chart fabulous Chinese and Western dining. 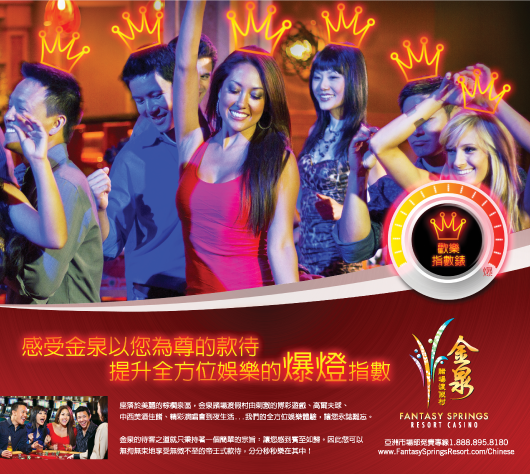 Come experience the superior hospitality that treats you like royalty at Fantasy Springs Resort Casino and enjoy the total entertainment experience going off-the-chart. 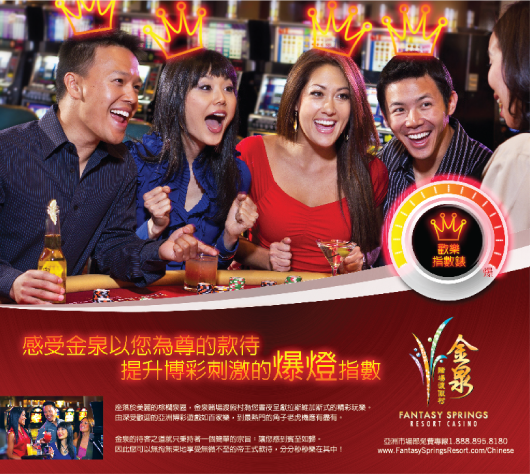 Come enjoy the superior hospitality that treats you like royalty at Fantasy Springs Resort Casino and experience your gaming thrills going off-the-chart. 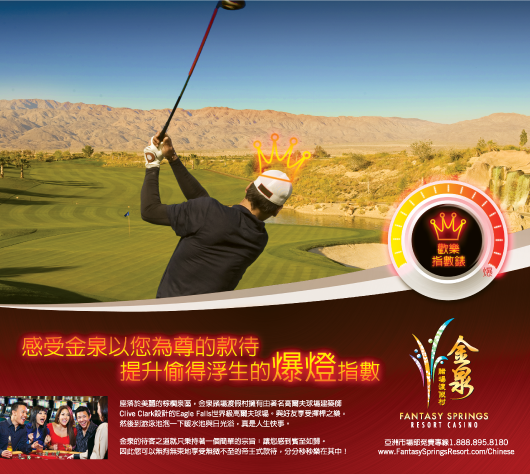 Come experience the superior hospitality that treats you like royalty at Fantasy Springs Resort Casino and enjoy the off-the-chart relaxation and fun.